In northeast Italy, over a lagoon from the Adriatic Sea lies a unique city in the world, which has acquired a reputation as the city of love: Venice. The city is built on 120 small islands linked by 455 bridges crossing 150 canals. Renaissance and Byzantine architecture reflects a complex history as a junction between the Western and Eastern. 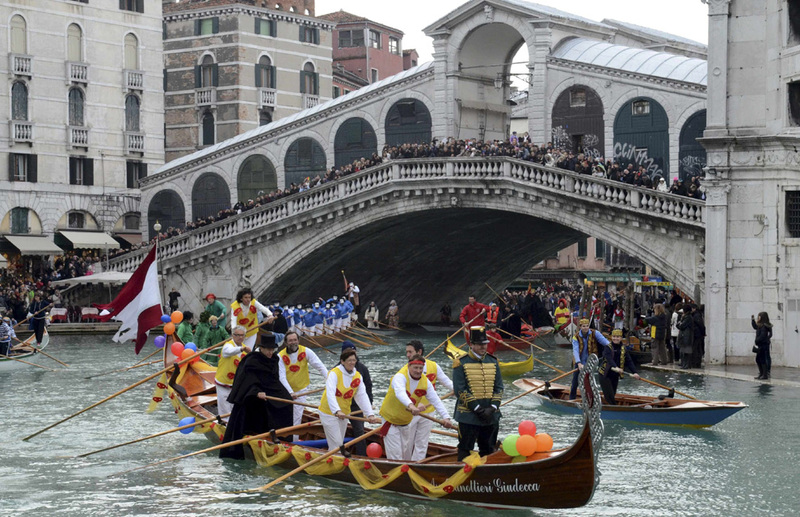 In Venice there are no cars, but public boats called vaporetos, canoes or rowing gondolas, and private boats. Venice is known for being one of the most romantic cities. Every couple dreams of having a gondola ride through the canals of the city, with a romantic dinner in the Piazza San Marco, or an evening at sunset on a terrace of a Venetian palace. But it is also known for here was born and lived the writer and leading man Giacomo Casanova. His memoirs recount in detail about 132 affairs, for which he became famous as the “Don Juan” Italian. Venice is also home to one of the most important film festivals in the world, and the famous and elegant venetian carnival. The best thing to do in Venice is just walking aimlessly and get lost among its narrow alleys and canals. In every corner, in every alley, something surprise your eyes. For centuries the city suffers from periodic flooding during the fall and spring. However, the intensity and frequency of these has increased by global warming. If you were to increase the half-meter sea level, much of the city remain under water. To prevent this, the Italian government is doing a mega project named Moses, who is building a giant dam that controls the tide affecting the city. « Mont Saint Michel in France.